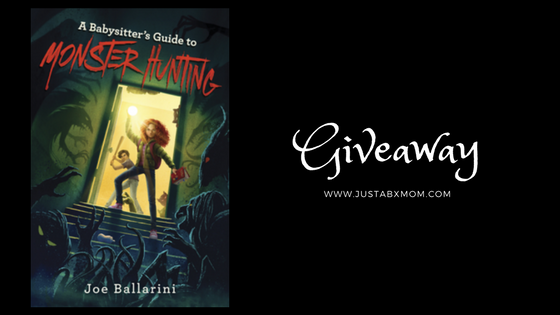 JustaBXgirl and I just finished reading a Babysitter’s Guide to Monster Hunting and we can’t wait for book two to come out. JustaBXgirl loves to read books with me. If you recall our Youtube channel began as a story time channel. Even though we don’t do many story time videos anymore we still do lots of story time at home. We’ve taken to reading chapter books when we travel. Short storybooks don’t last well on commutes around the City. A Babysitter’s Guide was lots of fun to read during these times and we were sad to see it end. We were however excited to know that there would be a book two. I hope this series keeps going long enough so that JustaBXgirl can enjoy reading it for years to come. The book was written for children ages 8 – 12 but can be enjoyed by all ages. It does contain monsters, boogeymen and babysitters so you might want to read with caution when it comes to the younger ones as it may make them weary of sleeping alone or being left in the care of an unprofessional babysitter. However, if your littles are anything like mine then they will get a kick out of the characters and ask you to keep reading. When I asked JustaBXgirl what her favorite part of the book is she said the end (which I won’t ruin for you) and the Toadies. What’s a Toadie? It’s one of the monsters you will encounter in the book. We received this book for review purposes. As always the opinions expressed are honest and solely mine. This post contains affiliate links. Toadies would be a Level 3 Troll that stands at most 2 1/2 feet tall. They like garbage and shiny objects. Yup, you got it. They sound like toddlers to me too! No wonder my four year old adores them. Plus, she really likes saying the word Toadie. There are a lot of other fun stuff in this book. Have you ever heard of Teddy Bear grenades? It will make you rethink that plushie in the corner. If your littles are into adventure, friendship and being a little scared than this is the book for them. It also touches on topics of fitting in and making friends for the older littles that might be struggling with these things themselves. And for all of those that aren’t into reading (what is wrong with you – just joking, kind of) this book will be made into a movie and you can tell everyone you heard about it hear first! If you want to read the book you can buy it here or you can enter my giveaway and try to win your own copy. Winner will be notified by email and have 48 hours to respond. Prize will be send directly from the company. The last book we read together was ‘The Boxcar Children’ after watching the animated movie on Netflix last weekend.